I have long admired the books written by Jacob Needleman who is Professor of Philosophy at San Francisco State College in California. During his productive career, the scholar and writer, now in his seventies, has devoted books to a variety of subjects of relevance, including the nature of democracy in America, the object of philosophy, the role of the physician in society, the characteristics of money, the features of goodness, new religions, ancient and modern technologies, etc. He has been the director of the Center for the Study of New Religions at The Graduate Theological Union in Berkeley, California, and he has served as general editor of the Penguin Metaphysical Library and the same for Element Books. He has been a busy man, and the above activities do not take into account his work in the domain of the Work itself. Among his most useful publication is “Gurdjieff: Essays and Reflections on the Man and His Teaching” (Continuum, 1996) which he compiled with George Baker. He has now produced two more books in this field — or might I say one full book and one booklet? The book is “The Inner Journey: Views from the Gurdjieff Work” (2008) and the booklet is “Introduction to the Gurdjieff Work” (2009). Both are published by Morning Light Press of Sandpoint, Idaho, which has a fine catalogue of books about modern-day spirituality. That catalogue is accessible through Google. Let me describe the little book titled “Introduction to the Gurdjieff Work.” It measures four inches wide by five inches here and it is only 62 pages long. So it is a gift book, the kind of miniature publication like those displayed beside cash registers in book stores. It consists of Needleman’s necessarily brief essay on the Work along with a useful, annotated bibliography that lists books, music, and a feature-length film. (Yes, the film is Peter Brooks’s “Meetings with Remarkable Men.”) There is nothing remarkable about Needleman’s essay, though it is written with clarity and concision and it focuses on the pivotal role of conscience in the life of modern man. It downplays what has been called the “psychology” and the “esoteric” sides of the Work. It is a conscientious introduction to the Work. The series has volumes devoted to the “traditions” of Buddhism, Christianity, Hinduism, Islam, Judaism, as well as “Views from the Gurdjieff Work,” “Views from Native Traditions,” and a post-pourri titled “Myth, Psyche & Spirit.” It seems the general editor, Dr. Ravindra, a retired professor of both Physics and Religion from Dalhousie University, Halifax, N.S., has been busy overseeing this mining operation of the last twenty-five years of quarterly issues for relevant texts. It is quite a job. For a year I held a subscription to “Parabola,” and while I admired and still admire the spirit and style of each issue of the well-illustrated periodical, I felt and feel the “mosaic” approach to be rather static and essentially bland. It consists of reprinting “snippets” from the standard books in the fields, though some original essays essays are commissioned and informative interviews are conducted. Pictorially issues are well illustrated, but outright contradictions are denied and rough edges are smoothed over. It fell to Jacob Needleman to compile “The Inner Journey: Views from the Gurdjieff Work” and given the chunks of prose he has had to work with, he has done a decent job of erecting a reasonable structure. In all there are sixty passages, and all of them are reprinted from well-known texts known to serious students of the Work. They were written by twenty-three contributors, including the editor. Here is a rough breakdown of the contributors. The first tier of contributors consists of G.I. 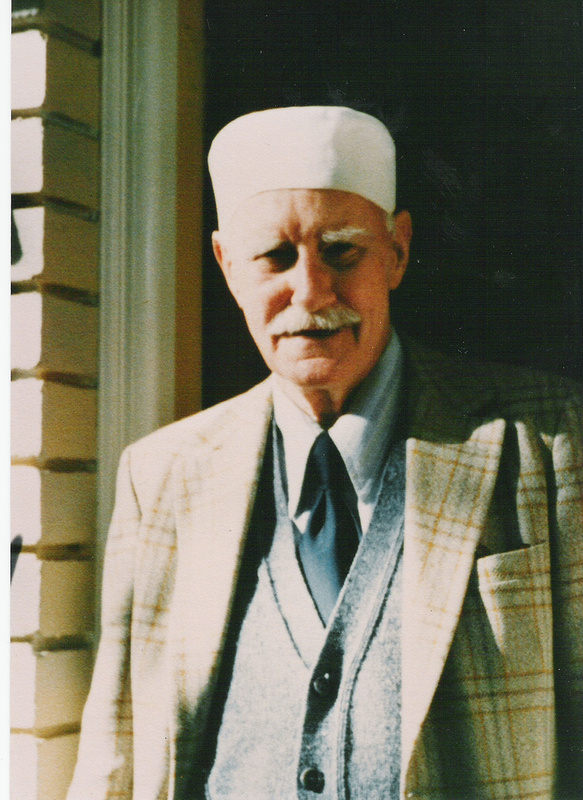 Gurdjieff, P.D. Ouspensky, A.R. Orage, Maurice Nicoll, and Jeanne de Salzmann. The second tier includes Peter Brook, Rene Daumal, John Pentland, Henri Tracol, and Michel de Salzmann. On the third tier we have Pauline Dampierre, Margaret Flinsch, Chris Fremantle, Jacob Needleman, and Ravi Rabindra. That leaves the fourth tier: Henry Barnes, Martha Heyneman, Mitch Horowitz, Roger Lipsey, Paul Reynard, Laurence Rosenthal, William Segal, P.L. Travers, and Michel Waldberg. The sixty passages of prose (and some of Daumal’s prosey poetry) are arranged in six sections. These are called chapters and given headings. For the record here they are: Chapter 1: Man’s Possibilities Are Very Great. Chapter 2: Remember Yourself Always and Everywhere. Chapter 3: To be Man Who Is Searching with all his Being. Chapter 4: That Day … the Truth Will Be Born. Chapter 5: Only he Will Be Called and Will Become the Son of God Who Aquires in Himself Conscience. Chapter 6: The Source of That Which Does Not Change. Try as I might I could not find much of a relationship between the chapter headings and the contents of the chapters, but try as I might I could not come up with a better plan of organization. (I find it odd that the book ends with Ouspensky’s outline of “the food factory.”) We have here a “mosaic” (not a “collage”) and individual voices predominate. It is no surprise that the two leading contributors (with eight pieces apiece) are Gurdjieff and Ouspensky with familiar passages from their familiar books, though if the books have yet to be read the passages are unfamiliar to the novice rather than to the veteran reader. Everyone will have his favourite familiar passages, but for my taste the most rewarding contribution to the anthology — the one most worthwhile to reread — is “Footnote to the Gurdjieff Literature” written by Michel de Salzmann. With great taste (and some distaste), he surveys the writings of students, scholars, and imaginative writers, and he finds most of them wanting. He takes as a given the principle and practice that the Work cannot be conveyed or even described in words, but that it must be experienced to be realized in one’s everyday life. John Robert Colombo is the author, compiler, and translator of more than two hundred books, largely concerned with Canadiana. His most recent publication is a collection of 2,000 aphorisms called “Indifferences.” His essays on Canadiana and the Work appear in “Whistle While You Work.” He is an irregular contributor of reviews and articles to this news/blog. Hereinafter I will refer to the well-known author William Patrick Patterson as WPP, for in a sense these initials stand for more than the man. They represent a mini-movement he has led in the world of Work-related activities. 1. “Struggle of the Magicians: Exploring the Teacher-Student Relationship.” I believe this to be his first and finest book; it is strong on research, documentation, and analysis. The author sees himself as a “one-time” student who has become a “now-time” teacher. 2. “Eating the ‘I’: A Direct Account of the Fourth Way – The Way of Using Ordinary Life to Come to Real Life.” This is an attempt to do more than scratch the surface of what has been called “spiritual materialism” – the supermarket approach to the religious quest associated with the New Age. Doing more involves doing more inner work. 3. “Taking with the Left Hand: Enneagram Craze, People of the Bookmark, & the Mouravieff ‘Phenomenon.’” In many ways this is the author’s most interesting publication, being rich in research-driven and informative, with many explorations and elaborations of activities on the “fringes” of the Work. 4. “Ladies of the Rope: Gurdjieff’s Special Left Bank Women’s Group.” I found this study of those talented women who comprised Mr. G.’s “special” study group in Paris to be a work of skill that shows a depth of insight, as well as a font of miscellaneous information. 5. “Voices in the Dark: Esoteric, Occult & Secular Voices in Nazi-Occupied Paris 1940-44.” This is an eye-opener of a book which includes never-before published transcripts of Group meetings held in the French capital during the direst of times, a learning situation situated between the forces of black and white “magicians.” It is Group vs. Reich. 6. “The Life & Teachings of Carlos Castaneda.” I have yet to see a copy of this book, though I have read much of its text in a succession of issues of “The Gurdjieff Journal.” Here WPP measures Castaneda’s indebtedness to G.I.G. and offers new and compromising biographical details about this popular “trickster” teacher. 7. “Spiritual Survival in a Radically Changing World-Time.” This is the current title, and in many ways it is the author’s most impressive and imposing book, though you would not know so from its title and subtitle. “Spiritual Survival” – could there be a more inflated title? “In a Radically Changing World-Time” – could there be a more baffling subtitle? The title and subtitle strike me as overblown and at odds with the book’s market: not directed at its likely readership, misleading to a wider readership. Indeed, the word “survival” has been overused since the 1960s. There is that cliched exchange: “What did you do?” “I survived.” And the words “Radically Changing.” I suppose their opposite is “gradually changing” or “unchanging.” Then there is “World-Time,” which I suppose means “in our time, in our place.” The words “world-time” do appear in the text, but one of the hallmarks of the author is that overall he eschews technical-sounding terminology. These words sound like they come from a tome written by Oswald Spengler. All of this is a pity, because the book is well organized and finely produced, as well as comprehensive and useful. It is principally an addition to the shelf of books devoted to the elucidation of the principles of the Work, and not in any sense of handbook for generalized “spiritual survival,” as I will attempt to show. But before doing that, I want to refer in passing to WPP’s other activities. These I take to be six in number. 1. He is an author, editor, essayist, etc. See his six books mentioned above. These are all published with great care (editing, design, production values, etc.) through his own firm, Arete. 2. He is the founder and editor of “The Gurdjieff Journey.” I have subscribed to this bimonthly periodical since its inception in 1992. It is full of interesting articles – some bylined, some not. Some articles are serious contributions to the history of the Work and to consciousness studies in general; other articles are occasional columns and reviews of books and movies of interest, all viewed through the bifocals of the Fourth Way. The contributions of continuing interest have eventually become chapters in the above-noted books. I plan to continue to subscribe to “TGJ,” though I do wish its publisher and principal contributor would suggest to the designer designer and layout artist that they treat the text differently: run the articles from page to page, rather than continue the article at the “back of the book” – respect the the natural rhythm of reading experience. 3. He is a documentary film researcher, writer, producer, director, and on-camera host. I should add “award-winning,” because WPP is that too. I genuinely admire his three-volume set of DVDs (originally videos) with the general title “The Life & Significance of G.I. Gurdjieff.” The three, hour-long films are titled “Gurdjieff in Egypt,” “Gurdjieff’s Mission,” and “Gurdjieff’s Legacy.” All three have won major documentary awards, which they richly deserve, for they combine original research, travel to foreign if not remote places, trenchantly delivered observations about the Work and the men and women who have contributed to its “introduction to the West.” WPP has a strong screen presence and delivers a clear and forceful message. It has been a couple of years since I last viewed them, but what I vividly recall is the manner in which he patiently explains how Mr. G. had to “step down” his powerful ideas to make them applicable to men and women of our time in the West. Everyone who is interested in the Work itself, as distinct from treating it the way members of a congregation treat a church, should view these DVDs. 4. He is the director of “The Gurdjieff Studies Program.” This represents, at least for our purposes, the series of seminars organized and delivered by WPP in person. Weekends are devoted to talks and workshops held in quality hotels in cities throughout the United States. There may be four or more a year. They might be described as Work “intensives,” but I am in no position to know if that is so, because I have not attended any of them or talked with anyone who has done so. WPP is a seasoned communicator – teacher, writer, public speaker – so there is every reason why the seminars should be thorough and comprehensive and entertaining to boot. 5. He is the “spinning top” at the hub of Arete Communications. I am hesitant to suggest that WPP is solely responsible for Arete Communications, “Publishers of Self-Transformation books and videos,” though he may well be the sufficient cause, because in this endeavour he is assisted by other people, including his wife and editor Barbara Allen Patterson, as well as a designer, a researcher, a writer, a publicist, etc. As for the definition of “Arete,” Google informs me that the word has a goodly number of meanings for many features and characteristics of “goodness,” including “quality.” Its opposite is Kakia, which means “badness.” In Ancient Greece, Arete and Kakia were goddesses. Certainly the concept of “quality” applies to the work of Arete Communications and the efforts of WPP to represent the Work in its current phase in the United States and the rest of the anglosphere. Enough of WPP. Let me describe the new book. “Spiritual Survival in a Radically Changing World-Time” was published in January 2009 and as of April has gone into three printings. (There is no indication of the length of the press runs.) Physically it is stout volume, even a handsome one, with a maroon library binding with printed endsheets and lively head and tail-bands – though, sadly, the pages are glued rather than sewn (a process misleadingly known in the commercial printing trade as “perfect binding.”) There are xviii + 407 pages of quite readable type. The book may be ordered through Arete’s website. I think the key to the book is the trinity of names that appears in this order on the dedication page: “To Mr. Gurdjieff / Mme de Salzmann / Lord Pentland.” What the author is doing here is declaring an allegiance and identifying a lineage. Elsewhere he described himself as a former school teacher with experience in the world of advertising, but also as a student who studied under John Sinclair, Lord Pentland, whom (after Orage) Mr. G. designated to be his representative in the United States. With the death of Pentland in 1984, WPP was cast adrift. But being resourceful he found safe harbour and became a teacher of the Work. I have no idea if he has any affiliations with the Foundation, the Society, or the Institute. I believe he prefers to work alone, a cowan or a loner rather than a member of a coven or a group, to adapt terms from Masonry and Wicca. A cowan is always viewed with some suspicion, and this is certainly true of WPP, though personally I have no problem with his American-style promotion of the Work, if only because it seems to me to be well grounded and respectful of the form and the delivery of the Work. I will leave it to other people to decide whether the system of instruction of which he is the group leader constitutes a new line for the Work to take – indeed, if it is an instance of the influence of Arete or of Kakia. “Fourth Way Meetings” consists of the texts of 324 questions and answers arranged in 36 sections. There is a certain arbitrariness to the arrangement of the material. No details are given as to where and when the exchanges took place. We are left to guess the questioners’ levels of life and Work experience. Yet the handling of the questions is deft enough to serve their original purposes and to be helpful to the questioners. The responses focus, at first, on observing the automatic workings of the body and, subsequently, on bringing these to the level of awareness, on beginning to cease to identify, on trying to identify one’s chief feature, etc. There is satisfaction when routine matters are attended to without boredom or irritation. Yet I had hoped for some insights that have the depths of those of Jean Vaysse, Henri Tracol, Solange Claustres, or George Adie, but this was not to be. So much for “Fourth Way Meetings.” The next section, “Fourth Way Probes,” is the shortest of the sections, for it consists of only seven “probes.” Perhaps the choice of the word “probes” for these essays is ill-advised? When I hear the word “probe,” I recall the witty aphorisms of Marshall McLuhan: “The medium is the message,” “Globalism creates tribalism,” etc. McLuhan called these probes because they were insights and not propositions or arguments. “Fourth Way Essays” is the soul of the book, as “Fourth Way Meetings” serves as its body. Here there are twenty-five essays, most of them reprinted from the columns of “TGJ,” but appeared elsewhere and will be new to subscribers. Because WPP is a writer and lecturer who is familiar with the vast literature of the Fourth Way, he has developed his own views on what he sees as the twin overgrowths of our time: religious fundamentalism and materialist scientism or spiritual materialism. In time, he might well add to these, as did P.D. Ouspensky, these opposites: scholasticism and sentimentalism. I see these as subsumed under the rubric “cerebralism” rather than rational or intellectual or emotional or moving. That passage offers the reader the sum and substance of the book. The thirty pages of the book’s Introduction present his “take” on the plight of modern man in light of the struggle between attaining consciousness vs. succumbing to the cerebrations of the computer. Such is theoria; praxis is another matter. Perhaps in the privacy of the seminars there is instruction in spiritual practices. In the pages of this book, there are suggestions: shadows of shadows. In other essays the author considers various theories about the source of the system which in the early days Ouspensky dubbed the Special Doctrine. He looks into the claims of Esoteric Christianity (derived from Egypt, perhaps “pre-sand Egypt”), Eastern Orthodoxy (from a certain monastery on Mount Athos), Shamanism, Manicheeism, Sufism (from the so-called Sarmoun monastery, brotherhood, or society somewhere in Central Asia), etc. I do not recall any consideration being given to the possibility that the system was inspired by work underfoot in the Caucasus at the time – a movement known as Kebzeh. In the end TPP takes Mr. G.’s lead and opts for Esoteric Christianity, but this is a Christianity that predates Jesus Christ by centuries if not millennia. It is all very suggestive and mysterious. There are other sections of “Spiritual Survival” – Introduction, Afterword, Notes, and Bibliography. There is no Index. If I had “time and tide,” I would describe or paraphrase the arguments of these, but it is my view that a review should leave much for the author to say and not try to displace the original text in the eyes of its future readers. WPP writes well and is worth reading on his own. Here is a book that men and women somewhat familiar with the world of the Work will find worthwhile and rewarding as long as they are not expecting anything really traditional or really new. People unfamiliar with the Work who are mainly interested in exploring the expression of spirituality in the contemporary world will likely find it to be baffling and digressive. It is said that a person has a chief feature. If a book may be said to possess one of these, the chief feature of this book is earnestness. John Robert Colombo is a Toronto-based author and anthologist who is nationally known as the Master Gatherer for his compilations of Canadiana. In his latest book of essays called “Whistle While You Work,” he has combined consciousness studies with Canadian references. From time to time he reviews Work-related publications for this website. After posting the latest from Joseph Azize, see below, I saw there was a link to the Adbur Rahman site with this poem and so I am posting it here. O Beloved! These are gifts fine and beautiful. I am a riderless horse. This foreword to the book is by Andrew Rawlinson, author of The Book of Enlightened Masters: Western Teachers in Eastern Traditions. It befits the Work that the accounts of it are so many and varied. 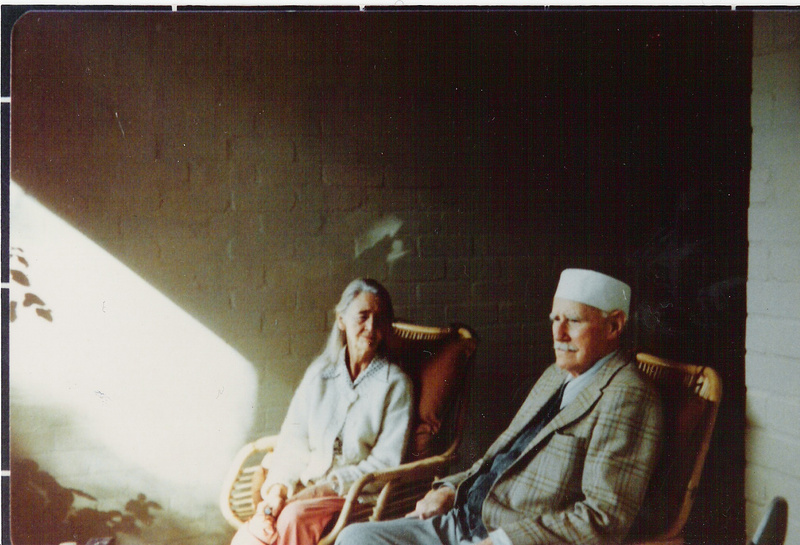 Here is one that goes back to George Adie, an Englishman who met Gurdjieff in Paris in 1948 when Adie was forty-seven years old. The tenor of the man- clear, direct and above all, caring â€“ resonates throughout the pages. Two examples will suffice. Joseph Azize â€“ young, eager and out of his depth â€“ is aghast that Adie wants him to finish his studies before joining Adieâ€™s group. Doesnâ€™t objective consciousness help you pass your exams? There was the briefest moment of silence, silence with the quality of an acknowledgement, before his good, golden laughâ€¦This was the purest and deepest joy that I have yet heard: the laughter of a compassionate man. In 1951, when Adie was fifty, on the advice of his doctors, he had one lung and part of the other removed. But it was found that there was nothing wrong with them. For the rest of his life â€“ thirty-eight years â€“ he was often unable to move from his bed and frequently had to pause in mid-sentence to apply the oxygen mask. But he never told anyone that the operation was unnecessary. His digested the grief and did not allow himself any complaint. This is as good an example of intentional suffering as one is likely to find. It is the opposite of negative emotion, when we make ourselves â€˜realâ€™, solid, by letting our feelings flood out. Intentional suffering is an emotion of sadness which we experience with our real feelings. We have the sadness but also the sense of our own presence: the sadness is an element in our self-consciousness. This suffering calls me to myself and is eventually transformed into sensitivity in my essence. Adie learnt this from Gurdjieff and tried to remain true to what he had received. The struggle to be true enabled him to be his own source for the work, and what he says about it is deeply noble. The work promises that if we sincerely wish to see ourselves, we will. There is very little in it for the personality. Itâ€™s free, yes â€“ but free from stupidity, to which we are so much wed. But give it up and something begins to flow: a finer substance which is not only fine in itself but has a special place in creation. â€œIf I am partaking, it is like nothing else.â€ We begin to perceive, and move amongst, divine laws. This is a great teaching: that there is an objective truth, a quality of the creation itself. But we cannot grasp it in our present state of consciousness. What, then, is required? The courage to be present as I am. This allows some awareness of myself: freedom from fear, openness. If I am free form the false â€˜Iâ€™, then I receive strength, grace even. There is the possibility of exchange, of relationship. Negative emotions will no longer devour us. â€œWhen I become present, the dreams tend to go,â€ as Adie put it. And what do we find? A fine delight. That faith, hope and love are all one, whenever they are manifest. These are sacred being-impulses, in Gurdjieffâ€™s words, and to encounter them is to enter directly into the joy of creation. Heady stuff â€“ but of course, never separate from work and struggle, the need to wake up. Without self-consciousness there is only mechanics, the suffering of false doing. These ideas are familiar to anyone who has turned his attention towards the work. They are presented here with force and elegance. I love the image of the dalek and the dervish. We are both. The dervish is inside our dalek â€“ the mechanical invention â€“ but we donâ€™t know it. We have been hypnotized into believing that we really are daleks. If the dalek-human once realized that he was a dervish trapped beneath heavy armour, he could learn to shatter the shell and emerge to stride the horizons of Persia. Wherever the dervish finds himself, he is always beneath an endless sky in which the sun, moon and stars endlessly shine. But time is limited. There is only so much air inside the dalekâ€™s enclosed world. At some point, the dervish will suffocate and then he will fuse with the dalek and become machine through and through. Then, should a spear pierce the dalekâ€™s armour, it will not draw one drop of blood but only strike sharp sparks. At the end of his days, by what shall a man be judged? What will his image reveal? Surely it will reveal every secret thing. Well, all the angels will come home one day. There is only one question: â€˜Are you ready?â€™ No one whose head is up, whose eyes are open, can say â€˜Noâ€™. And the creation is asking nothing else. George Adie heard the question, responded, and asked it in his turn.